The UK government unveiled its industrial strategy for a handful of key industries earlier this week, and this included life sciences, a sector which it hopes will help the economy grow after Brexit and beyond. The unveiling of the industrial strategy for life sciences on Monday was made all the more convincing because it was timed to coincide with news of fresh investments in the UK. The recently renamed Department for Business, Energy and Industrial Strategy (BEIS) was able to boast that Merck Sharp & Dohme (MSD, known as Merck in the US) would be investing in around 150 new jobs in early research, while molecular diagnostics firm Qiagen was also creating a potential 800 new jobs. However it quickly emerged that a considerable amount of political spin had been added: Qiagen made it clear that its deal had yet to be finalised, and a quoted figure of 950 jobs ‘supported’ by the MSD agreement was made up of around 800 existing jobs. Against this background, when the UK managing directors of three US pharma companies gave evidence to a parliamentary inquiry on the industrial strategy the next day, they signalled their support, but made it clear they wanted to see substance to the government plans. Erik Nordkamp of Pfizer, Louise Houson of MSD and Mark Hicken of J&J’s pharma division Janssen, were of one accord when it came to the big issues: the strategy was a ‘huge opportunity’, but the government needed a long-term, top-to-bottom implementation plan. This would mean accountability at cabinet level, real joint decision making at the lower levels and buy-in from the NHS – something that has never been fully realised in the UK to date. UK pharma’s long-term complaint is about ‘low and slow’ market access for new drugs – however the industrial strategy is unlikely to fully address this issue. Launching the industrial strategy on Monday, health secretary Jeremy Hunt said he wanted NHS patients “to continue to be at the front of the queue for the best treatments available,” a comment that many pharma companies and patient groups wouldn’t recognise in relation to many new medicines. This is because NHS England is increasingly tightening its grip on spending on new specialist medicines. This has included a new Budget Impact Test to control spending, which the industry vehemently opposed. Pfizer’s Erik Nordkamp indicated that buy-in from the NHS leadership was vital for the industrial strategy to work. 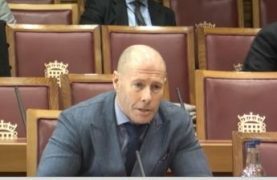 “The most important thing is that the NHS leaders signal that they want to partner,” he told the House of Lords committee. He also called for accountability at a government cabinet level, with a clear structure of a joint decision-making committee beneath that. This is what the government promises it will deliver within the next few weeks, but Nordkamp remained sceptical. Perhaps most pointedly, he said that in conversations with his US head office, his superiors had talked about a ‘transactional’ mindset from the UK government when dealing with pharma. He said this needed to change in order for any industrial strategy to be successful. 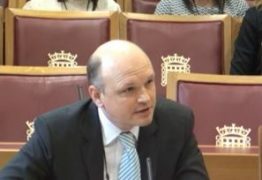 Janssen’s Mark Hicken made similar noises, and said he would also want to see NICE appraisal methodologies and NHS decision making changed to help uptake of innovative new treatments. In particular, he noted that the future of the UK pricing system the PPRS – what he named a ‘stability pact’ – was “deliberately not in the [industrial] strategy” and would have to be separately negotiated by December 2018. Meanwhile Louise Houson was representing MSD, the company that had just announced its new London-based early research centre. Houson praised the UK’s academic research base, saying the ‘Golden Triangle’ of London, Oxford and Cambridge made it one of the best places in Europe to do early-stage research, and that helped cement its decision. “Costs are high, but we believe this is where the best science is,” she said. One bright spot for all three UK managing directors was the devolution of health and social care in Greater Manchester, something they all believed could help shift NHS-pharma relationships to a deeper collaborative level. 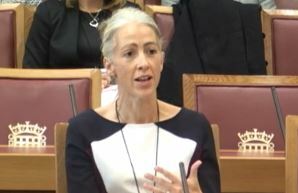 Houson reported that her company is working with Google’s health division Verily in partnership with health services in Greater Manchester to improve outcomes in people with long term conditions. 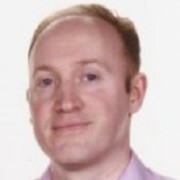 Mark Hicken said the Manchester experiment was ‘so exciting’ because it allowed the NHS to shift to medium-term planning, freeing itself from in-year budgets which are not compatible with the longer-term benefits of medicines. Hicken was also challenged about media reports which had claimed J&J had decided against locating a new ‘JLabs’ business unit in the UK. “They are not true….we are in discussion with a number of sites; the UK is one of them,” he said. Brexit inevitably cast a long shadow over the discussion, and Houson said the recent confirmation that the EMA would leave the UK was a ‘huge loss’ for the country. The industry wants to see the UK remain closely aligned with the EMA’s pan-European, single marketing approval system post-Brexit, despite this being seemingly incompatible with the UK leaving the single market and customs union. Mark Hicken warned that not securing this alignment could see the UK ‘slip down’ the priority list in terms of launch markets, something which would hit patient access to medicines directly. Many pharma companies are expected to trigger a ‘no deal’ supply chain by early 2018 if the UK can’t agree a deal with the EU27, something that could see major disinvestment in the country in the long term. Business secretary Greg Clark is expected to announce a life sciences ‘Sector Deal’ within the next few weeks, and the strength and depth of this will be crucial for persuading pharma companies headquartered in the US and elsewhere just how serious the UK is about supporting the sector.